Come from the hyper City of Barcelona Spain, never did Valencia think he would be the Executive Chef of one of US best known landmark hotels when he grew up. He has taken part in judging food competitions for Hotels and Country club, conducting food demonstrations, participating in cookery shows and sharing recipes in food magazines. He has traveled extensively through the US, Central , South America and Europe. 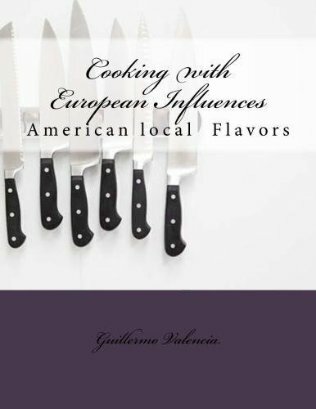 It is really important to him to share talents and learn new aspects of food habits and trends around the world. 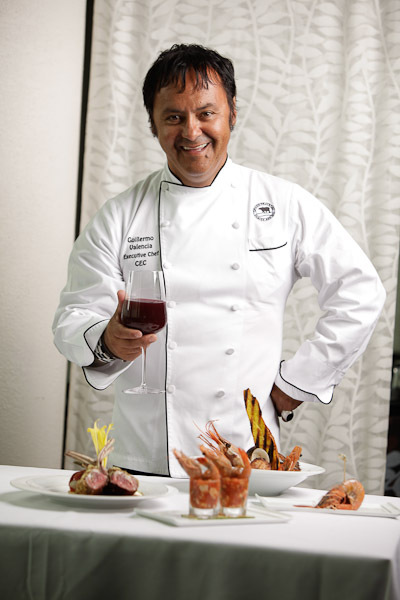 In 2002 and 2010 he joined the team at one of most remarkable Chef Table Competition, Representing PGA National Resort and Ocean Club In Florida. He was appointed as its Executive Chef Representing PGA National resort. Executive Chef Guillermo Valencia and Sous Chef Edgar Tabarquino impressed judges of Clubs US Chefs Table Award 2002 with their three-course, fresh-flavored menu. Later in the year, the club pair won gold in the Chef the Chef state competition and proceeded into the Nationals to compete with other state winners in US during the February finals. Today serves up New generation Cuisine cuisine in its contemporary form. He has 15 chefs working with him and starts his day at 6am and finishes at 11pm. Morning duties include managing breakfast service, preparing a la carte and express lunches and checking deliveries for quality and freshness. Afternoons are spent in meetings followed by preparing for functions and dinner service. Valencia’s Philosophy ; “simple, fresh, elegant and value for money. I am designing and producing extensive menus, breakfasts, express lunch options, hearty dinner selections and fine nibbles, something to satisfy all. Plus I am also overseeing in-room, events and conference dining options, so my role is very wide and varied, which keeps it interesting.” Valencia also finds it important that he spends a lot time at front of house, talking with guests; it’s one of the things he enjoys most about his job. dedication, hard work, and with vision, he pursued a career in the culinary arts. His experiences have spanned over 27 years. His apprenticeship took place in a small lakeside resort. and Salvador Dali Castle ,US Embassy in London, He went on to learn the traditional cooking of French and Swiss cuisines at restaurants in Paris, Leon,and Bern Switzerland, then joined the Bellevue Palace of the famous Swiss chain of Palace Hotels as a Chef de Partie. 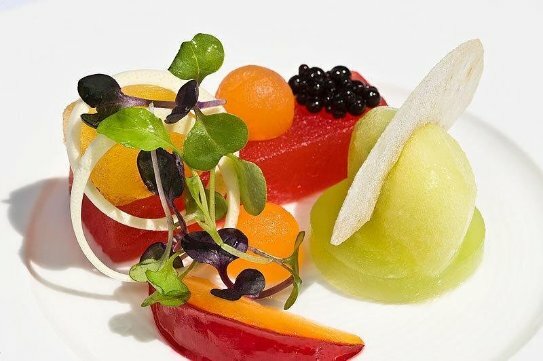 His career began to take off and he was employed by the Hotel Intercontinental, Geneva,and Florida where he worked as a Chef Rotisseur and Chef Garde manger. After a craving for travel took hold Chef Scandinavian cruised the world as Chef de Partie with Holland-America Line. 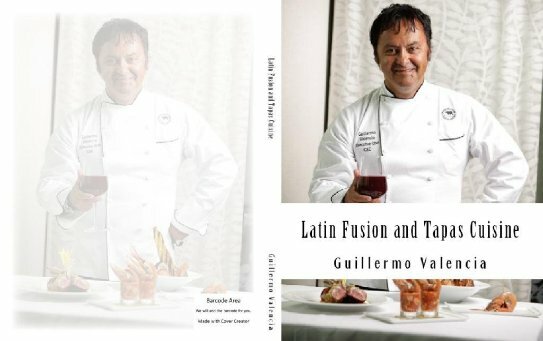 He returned to America to the Capitol of US in Washington DC as Garde Mange Chef and promote to Executive Banquet Chef .Inaugurations for three decades.He moved quickly through the ranks at the hotel and in 1978 he became Executive Chef at the sister hotel, The Prinsesa sofia in Barcelona Spain . 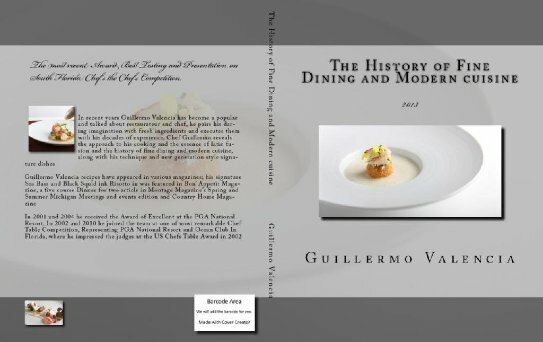 In 1986, Chef Valencia returned to his first Paris love, the stately “The Ritz”, as Garde Mange Chef. Since that time “the Chef”, as he is called by all, has trained and developed many young apprentices. He supervises a staff of 32 chefs and a kitchen crew of 104. For 3 years, Chef Valencia has led The’ culinary apprenticeship program. This three year program has 15 participants and receives applicants from around the world. At The PGA National resort here are 10 kitchens and 11 food and beverage outlets which prepare meals for one to 1,200 people in the 770 room hotel. This adds up to a mind-boggling 4,000 – 6,000 meals per day or 1.3 million meals per year. “I have an undying passion for food, cooking and I love my job and the art of cuisine.